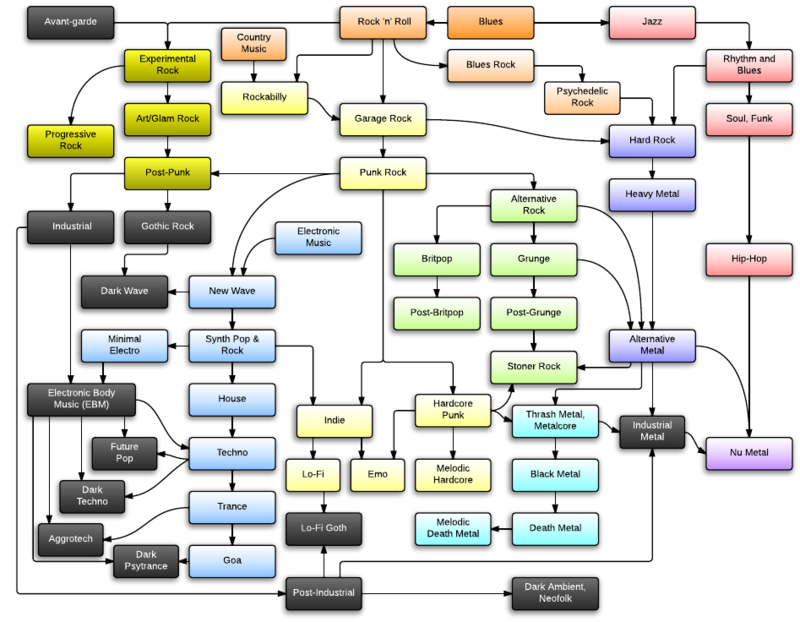 Are you curious about the origins of some music genres? Well, I was too. 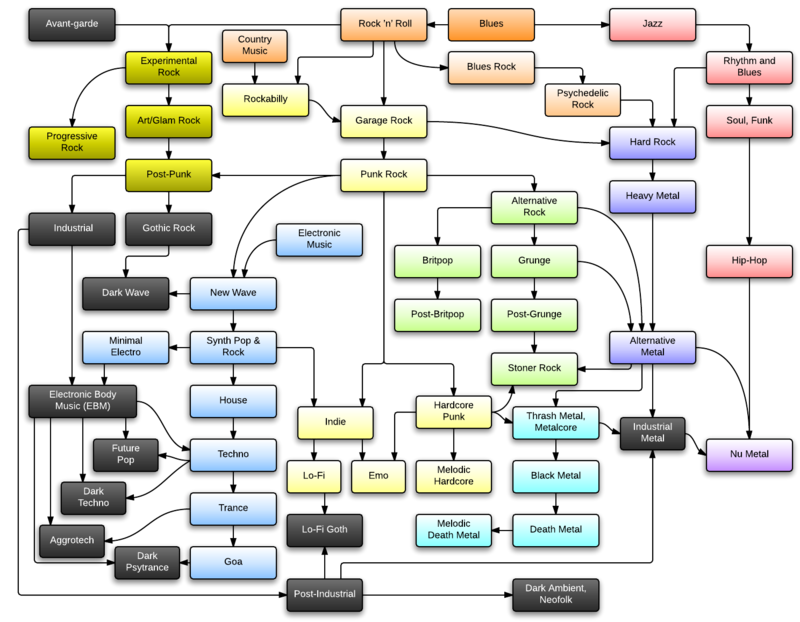 That’s why I invested many hours reading Wikipedia and created this – in the meantime pretty comprehensive – diagram with Lucidchart. Please let me know, if you find an error or you think that an important genre is missing.